During pregnancy, it is highly recommended that women be vaccinated for whooping cough (pertussis) and seasonal influenza to protect themselves and their growing baby from potentially serious infections. 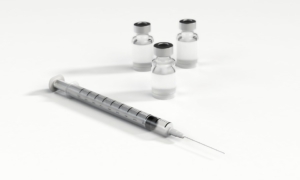 In certain circumstances, it may be recommended for women to be given other inactive vaccines, however live vaccines such as rubella are not given during pregnancy. For pregnant women, these vaccines are funded under the National Immunisation Program and can be bulk billed by your doctor or healthcare provider.